Perfect for chatting, writing, texting and online multiplayer gaming messages. Built-in external speaker and rechargeable battery. Fed up of wasting precious gaming time by manually typing with the PS4 DualShock controller buttons? 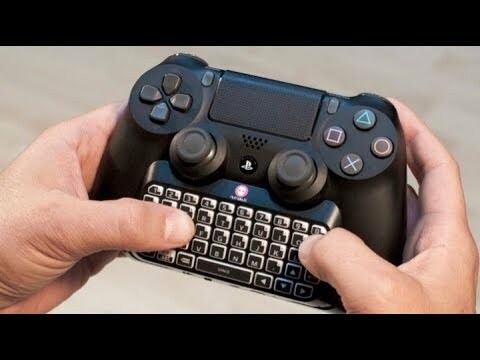 We’ve designed this incredibly handy official PlayStation keyboard to make typing in-game, in apps, or via messages with other players quicker and easier than with the standard button layout. This high quality, comfortable accessory is simple to connect to your DualShock 4, and gives you instant access to any key you’ll need. It’s a must-buy for any serious gamer!